Can the ANC be saved from itself? 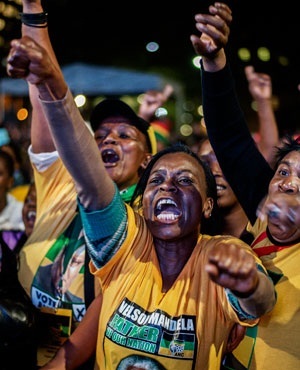 “WE SHOULD resist the temptation to fall further into the trap of believing the narrative that the ANC has won elections, as this plunges us further into denialism. Then he gets to his critique of the ANC, saying it is “riddled with all the wrong and alien tendencies of institutionalised factionalism, crippling divisions, spiralling ill-discipline, despicable arrogance and inexplicable denialism”. Many people want to know if the ANC can still be saved after everything that has been happening in and around it in recent months. To have a prominent leader persist in uttering the words above, even after being slapped on the wrist over and over again whenever he does this, is a good indication that we’re nearing a time when something will have to give in order to usher the ANC into the next phase of its existence. 9. Scroll down to the bottom of this page for next one. I believe that there is still room for the ANC to play a role in the continued development of South Africa. Our political space would be too empty without it. But it cannot play its part constructively in the evolving socio-political environment if it fails to acknowledge that too much wrong has been said and done in its name; too much pain has been inflicted and renewed fear installed in the minds of many South Africans. The spectre of what the ANC is capable of when faced with possible election losses is too frightening to behold. It evokes examples from elsewhere on the continent that none of us would like to see repeated in South Africa. The younger generation of South Africans who were born after the end of apartheid do not share the same fond memories of the ANC that their parents have, especially the children of those South Africans who were on the bitter receiving end of apartheid. The positive memories they have of Nelson Mandela come mostly from recordings, parental anecdotes and annual campaigns to honour him. They were either still babies or too young when Mandela was active in our politics. The ANC they know is one that is led by the current leadership, with all the negative associations linked to them. If they have to look left, all they will see is red, no longer green black and gold. They want to live in a country they share as equal humans with other young people they’re growing up with, kids from a variety of South African backgrounds. The anger we see targeted towards the ANC by many friends of my generation is a result of perceived betrayal. It is the spectre of the dream deferred; the fear that South Africa could easily become like other states that failed in Africa because of bad, greedy and kleptocratic leaders who seem to believe that only they must remain in power for all time. The ANC cannot be saved – and it should not be saved – if it continues to refuse acknowledging that the country we all signed up for at the dawn of our democracy is one governed by values and law-driven people within our strong democratic institutions. We need strong institutions; not strong men and women in their stead. 10. Make room for leaders like Paul Mashatile, Parks Tau, and others like them to show it the way. Or else it will be lost forever.